You know, I didn't strike gold in the 2015 New York Marathon lottery. Since then, I have been exploring other options and one of them is to try the NYRR-ITP (International Travel Partners) route. 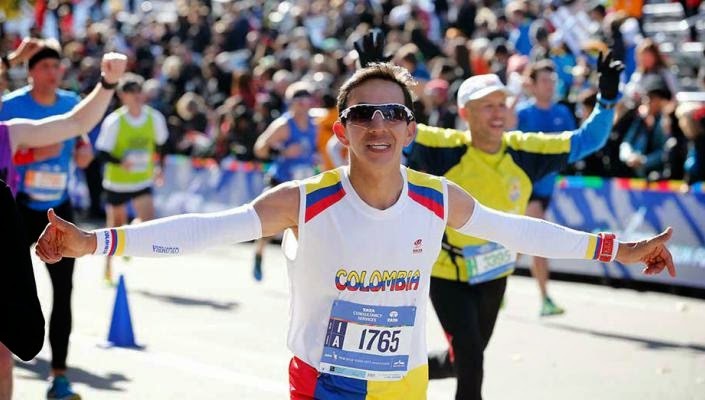 International Travel Partners provide guaranteed entry for the marathon for a slight premium, if we make some travel arrangements (hotel, sightseeing, air travel etc.,) through them. I sifted thru NYRR ITP site and what I found was a revelation. A country of billion billion people does not have a travel partner for NYC marathon, whose 'proud' sponsor is an iconic Indian company. Make no mistake, there are 'hundreds' of travel partners for many countries in the world, including smaller countries like Iceland. But India is not on that list.. wonder why? Is it because India doesn't figure in the scheme of things for NYRR. I could connect with travel partners in other countries and try thru them and one my friend did that for me. But it is proving to be lot more expensive and 'out of range' for me. Now I have only two options left 1) Go the charity route 2) Explore the sponsor route. I am trying both and hopefully one of them would work out.